The UAE is the second largest food producer in the GCC after Saudi Arabia, accounting for 12.1 per cent of the GCC’s total production, the GCC Food Industry report has found. Next month the Ruler of Dubai, the Prime Minister and vice-president of the UAE, Sheikh Mohammed bin Rashid Al Maktoum, will be hosting the Africa Global Business Forum, a two-day summit focusing on doing business in and with Africa. Thailand and Brunei will foster cooperation on agriculture with a focus on food and halal products. The collaboration is in line with Brunei’s long-term development plan launched in 2008. Halal Research Council and KPK Agriculture University will work together for the development of Halal Industry. Halal Research Council has started an 8-month Post Graduate Diploma to provide trainings on Halal industry internationally. 84% of fish samples labeled “white tuna” were actually escolar, a fish that can cause gastrointestinal symptoms. The only fish more likely to be misrepresented than tuna was snapper, which was mislabeled 87% of the time. The new food labelling rules being introduced from 13 December 2014 will require new practices for food manufacturers which will involve increased costs, possibly running into millions of pounds to ensure that packaging is compliant with the new legislation. OVER the last decade, as populations have grown, capital has flowed across borders and crop yields have leveled off, food-importing nations and private investors have been securing land abroad to use for agriculture. Poor governments have embraced these deals. The results of industry tests will be published “to provide a clearer picture of standards”, the Food Standards Agency (FSA) said after a meeting attended by food and farming minister David Heath, and major food retailers and suppliers yesterday. 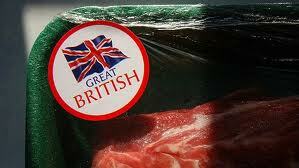 The Halal meat market is a multi-million pound contributor to the British economy. Abattoirs, butchers, processors and retailers can’t afford to overlook it. Eblex has commissioned new research, which will follow on from a comprehensive publication it put out in 2010 by them. Quinoa was, in marketing speak, the “miracle grain of the Andes”, but ethical consumers should be aware poor Bolivians can no longer afford their staple grain, due to western demand raising prices. The government has no plans to ban religious slaughter of animals. However, changes to all rules on welfare at slaughter will be required when a new EU Regulation on welfare at the time of killing comes into effect in January 2013. With food security becoming an increasingly important issue globally, and in the arid Middle East in particular, Dubai appears to have positioned itself to play an important role in meeting the most basic needs of the region.